Hope Vale township is situated 46km north west of Cooktown and is located in a valley surrounded by tropical native bushland, mountain ranges, pristine coastal and diverse flora and fauna, Hope Vale has a population of approximatley 1500 people. 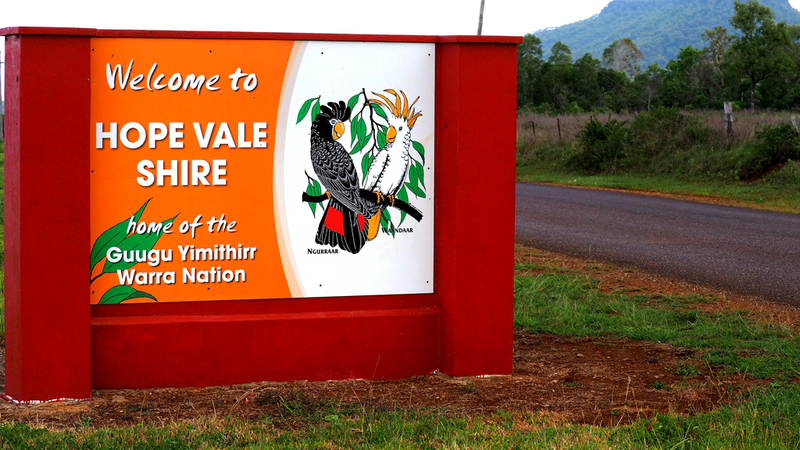 Hope Vale is home to thirteen clan groups who mostly speak Guugu Yimithirr and other related languages, as well English. Community: Child Care Centre, Community Justice Group, Home & Community Care, PCYC. Endeavour Valley Road between Hope Vale and Cooktown is fully sealed, making access for tourists and visitors to Hope Vale a scenic and enjoyable drive.